If marine issues are to involve everyone, one project knew it had to set its compass for horizons beyond the ‘science education’ of traditional ocean literacy, dropping anchor in lands with names like ‘Blue Growth’ to get all actors on-board. With the ocean beset by multiple challenges, such as climate change and plastics pollution, there is a concerted effort to increase ocean literacy (OL) to ensure the sustainability of marine ecosystems. OL encompasses awareness raising, capacity building and education about the ocean’s functioning, health and relationship to human activities. 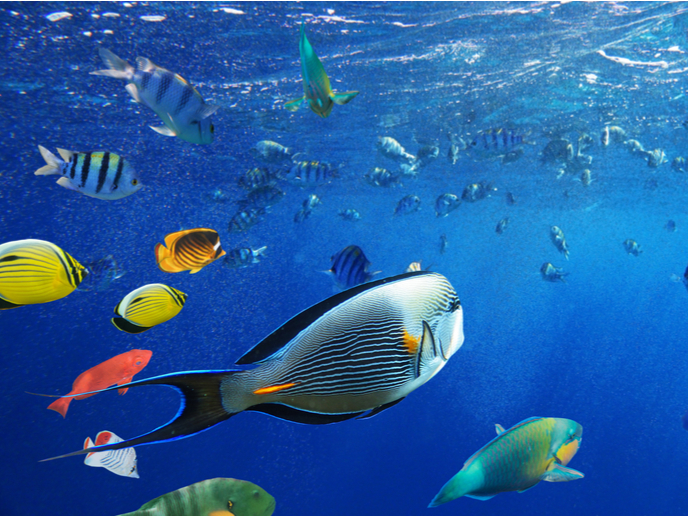 The EU-supported Respon-SEA-ble (Sustainable oceans: our collective responsibility, our common interest. Building on real-life knowledge systems for developing interactive and mutual learning media) project used participatory techniques (the living lab approach) to develop a range of OL products and interactive guidance for practitioners (a WebDocumentary), accessible to interested parties including educators, businesses, trainers, policy makers and the media. Information overboard? Respon-SEA-ble reached clear conclusions about where to concentrate their efforts. “In many cases, there is too much information about the status of the marine ecosystem and too little about social and economic impacts. This is compounded by lack of clarity for targeted audiences about what action is most needed,” says project coordinator Dr Olga Mashkina. The project concluded that effective change comes from combining initiatives at different parts of the value chain, as evidenced by current efforts to ban microplastics in cosmetics. Additionally, the causes of many marine problems, such as plastics pollution, are actually land-based. Respon-SEA-ble focussed on six thematic areas curated as ‘key stories’ – sustainable fisheries/aquaculture marine renewable energies eutrophication maritime transport sustainable tourism and microplastics – all contributing to marine ecosystems’ health connecting to existing policies and relevant to actors capable of driving change (e.g. policy makers producers and consumers). These key stories illustrate current knowledge on the (direct and indirect) links between human activities and marine ecosystems, different types of information and mechanisms for sharing it (also identifying gaps) and constraints/opportunities in terms of practical actions and behaviour change. The project created, tested and assessed a range of OL tools and products including: a series of games; short documentaries; cartoons; an IT platform for sharing marine knowledge with ferry passengers; an education module for children/schools and a training programme for fishermen. “To ensure their effectiveness, the tools were co-designed with key stakeholders,” says Dr Mashkina. “Additionally, we sought feedback on whether they made a difference to how users understood issues, felt about them and were ready to act.” The feedback so far has been positive, and analyses of assessment results are leading to recommendations for an interactive OL WebDoc platform which will be released at the end of the project (March 2019).